Internet of things and interconnected technologies is the future and we wanted to leverage those technologies to enable users to plan and book air travel while they are cooking, singing or reading a novel. Flyo is an Amazon Alexa hack that lets you find cheapest flight tickets to destinations over different parameters, find tickets to your fav band's next concert etc. Used Alexa SDK with NodeJs. Twilio to send details over text messages and Ticket Evolution to find upcoming concerts. Integrating components to Alexa SDK and deploying on AWS. 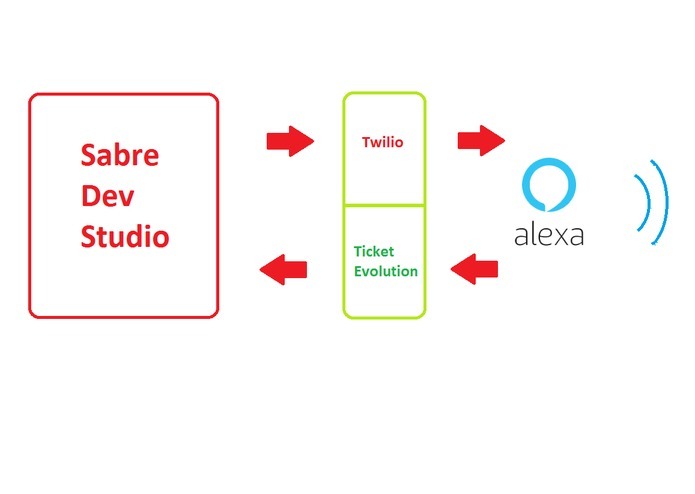 Integrating different platforms is the hardest, however, calling APIs is the easiest, thanks to amazing dev teams at Sabre, Twilio and Ticket Evolution.